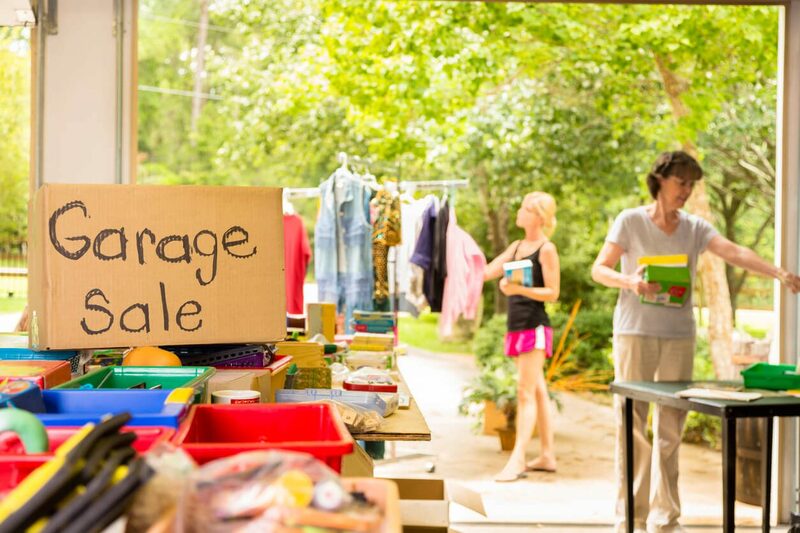 If you’re looking to clean out your home, why not make a few bucks by having a garage sale? You’ll never have to experience this fear as long as you’re selling the things that people want to buy (or if it rains…). If there’s one thing most men can’t say no to it’s having more tools for the garage or shed. Tools can be expensive when they’re brand new, so if someone walks by and sees a set they’d like to own that’s in good condition AND for a good price — you’ve got yourself an instant deal! This is especially true for power tools, but make sure you have an extension cord nearby so your potential customers can test them out for themselves. Remember when you were at the store (or saw that awesome infomercial) and bought a countertop appliance that was going to make your kitchen life so much easier? Well, it’s been years later, you’ve collected multiple small appliances and you’ve used them a combined handful of times. If these appliances haven’t seen much use and are in good condition, someone else will feel the same way about them as you did when you bought them. It’s an easy sale! Vintage board games, dolls and action figures, bicycles, sports equipment, etc. are all big sellers for those looking around with kids. Kids are always looking for new toys to play with, so this is a good opportunity to make them happy while not spending a fortune at the store or online. The same thing goes for kids just getting into sports or who could use an extra bat, ball, or bike. Sure, we all have our favorite books we want to keep, but there’s no need to have dozens of books taking up space in your home (unless you have a bookshelf as a part of your home’s decor). Stack these books up for your passerby to see and sell them each for a quick buck or two. A person who enjoys reading will gladly pay that price for hours worth of entertainment. Clothing is always a big hit at garage sales, but you have to make sure of one thing — make sure the clothing is gently used and in good condition. The last thing you want to do is put out old clothing or pieces with stains or holes in them. One article of clothing that’s damaged or in bad condition could turn off potential customers from purchasing any of the clothes. In addition to clothing, put out shoes, accessories, costume jewelry, etc. If you’re looking to get items out of your home while also making some quick cash, make sure you make some select items available for sale. For everything else in your home that can’t be sold or donated, there’s always the dumpster rental option. You call us, we drop the dumpster off, you fill it, we pick it up. That’s it!